In addition United Russia’s ideology is discussed at the congress. 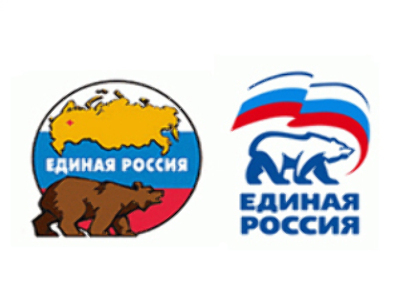 The three main divisions of the party say ‘Russian conservatism’ should be declared United Russia’s main ideology, in that it should be based on the traditional Russian values as well as sovereign democracy, political course succession, the necessity of responsible social policy and the protection of middle class interests. The party’s charter is set to be changed as regards the rotation of its ruling bodies. It is expected that the party’s leadership will be able to hold office for not more than two terms in a row. The congress also officially approved the party’s merger with the Agrarian Party. United Russia is currently the biggest, most popular and strongest party of the current four in Russia's lower house of parliament, the State Duma. There United Russia controls two-thirds of the seats, giving them enormous political power. Polls show that this is the party the majority of politically active Russians are likely to support. And it is also the party which fascinated State Duma deputy Tatyana Voronova from the very beginning of her political career. “Going through my files recently I found a photo there of when I first received my party membership card. I remembered my excitement then. Decisions like that are made for a lifetime. My motives were purely ideological. We were looking for a force which would let us implement our ideas and which was close to our spirit,” United Russia member Tatyana Voronova says. Seven years on Tatyana still skips a beat when holding that small piece of plastic. The card that Tatyana is so proud of is just one of two million cards belonging to United Russia party members all over the country. And the party has made clear it that an increase in membership is likely, but not everyone can enter. “We're introducing a six-month trial period for new members – enough time for them to prove they're ready,” said Boris Gryzlov, United Russia Superior Council chairman. Those already in the party are not immune either. “We checked the party members on the official list. There were some people who shouldn't have been there. It's clear they'd joined the party for their own gain. We got rid of them,” added Gryzlov. Vladimir Putin agreed to lead the United Russia’s electoral list last October, and the relations between the Prime Minister and the ruling party seem to be close to ideal. The only one thing the party is still missing is that Putin himself is not yet one of their members. His presidential duties prevented him from taking political sides, but as Prime Minister he's no longer bound by a promise of non-partisanship. In his address to the congress of the United Russia party, Russian Prime Minister Vladimir Putin called the on-going financial crisis a “natural disaster” that was almost impossible to prevent. However, he said that Russia proved to be less vulnerable to it than other countries. According to him, significant state reserves will help Russian economy to remain stable and the state government won’t have to solve the financial problems at citizens' expense. The Prime Minister stressed that Russia has to come out of the turmoil a stronger nation with a more effective and competitive economy. “Relying on the accumulated potential we are obliged to reach new frontiers, to grow stronger and more competitive and to use the crisis to increase our competitiveness,” he said. Vladimir Putin outlined measures the government and the central bank have already taken to combat the crisis, including a five trillion rouble injection into the financial sector. Putin pointed out, however, that it is essential to control redistribution of the state's financial aid. “Tough control must be established to ensure the funds reach the real economy, and not wasted on financial machinations,” he said. Still, the Prime Minister noted that Russia's economy remains largely dependent on world markets due to its low effectiveness, weak financial sector and poor diversification. He stressed that the task of further strengthening the banking and the real sectors of economy is the main thing to address on the agenda. Putin suggested that the practice of commercial banks purchasing bonds from the country's largest companies should be expanded. “Long-term money must appear in the economy for the realization of long-term, capital-intensive projects, and in this regard I think it would be justified to significantly expand the practice of commercial banks purchasing the bonds of the largest domestic companies,” he said. The Central Bank should refinance banks using these bonds as collateral, he said. The Prime Minister pointed out that with the configuration of the global economy changing, opportunities to create a world financial center in Russia are appearing. “A concept for the creation of a financial center is currently being drawn up in the government,” he said. Along with measures to strengthen the national economy, the Russian Prime Minister stressed the need to support private business initiatives. “Starting this year, the government intends to sizably increase the amount of financial aid to small business,” Russian Prime Minister said. To do so, the Development Bank will allocate 30 billion roubles ($1.2 billion) while the federal budget will provide 10.5 billion roubles. “This money will go towards crediting, the subsidizing of interest rates and state guarantees, the development of infrastructure of small business (technology parks and business incubators), grants and educational programs for beginning entrepreneurs,” Putin explained. Also, in light of the on-going crisis Vladimir Putin suggested allocating over 50 billion roubles to prevent the bankruptcy of defence plants. “I suggest larger interest rate subsidies, larger fixed capital investments and additional allocations in 2008-2009 in order to prevent bankruptcy of defence plants: the overall amount of the resources may exceed 50 billion roubles,” Putin said. “We should bear in mind the long production cycle and limited funds of the defence sector,” the Prime Minister said. The social sphere was placed at the centre of both the President’s opening words and the Prime Minister's speech. Medvedev pointed out that despite the growing burden of the global financial crisis. “During these difficult times, the government vows to fulfill its social obligations to its citizens”. In order to achieve this, the President stated that there must be a constant level of two-way communication between people and government in order to reach a complete understanding of the problems which are currently faced. “We will aspire towards stabilising the population, raising the life expectancy to 72 years for women and 55 years for men, providing all citizens with access to high-quality healthcare and education, as well as guaranteeing worthy pensions”. All these issues are the focal point of the government's visionary project for Russia in 2020. The latter issue concerning pensions was paid special attention to within the Prime Minister's speech. “By the end of 2009, the average state pension should not be lower than the cost of living for a retired person. By the end of 2010 the average size of an old age pension will be nearly 1.5 times that of 2008,” asserted the Prime Minister. The investments within education, healthcare and other social services will pay off as an economic boost in the future, Putin pointed out. According to him, the Russian economy has long been people-oriented and will continue to be such despite the growing burden of the world financial crisis. Businesses will be supported in their projects to educate their staff. Putin pointed out that tax cuts will be initiated in such cases. According to Russia's Prime Minister, all of these goals will be achieved in spite of the world economic crisis. The social sphere will continue developing adequately and will remain well-funded. “To alleviate the financial burden of small businesses and to create additional motivation for its development, I propose that the regions are allowed to reduce the rates from ten percent to five percent,” the Prime Minister pointed out. “I believe that the tax services need to fundamentally reconsider their work in this direction and to radically reduce the term of VAT return. We are bound to propose an optimum model for large tax-payers”.